In just a little over two months the 12th edition of Trade fair RailTech Europe will kick off in Utrecht, the Netherlands. Four conference programmes and over a hundred workshops are lined up. New this year is the Freight and Terminal Forum. “This year is bigger, broader and better”, said organiser ProMedia Europoint. The fair is held at the Jaarbeurs Utrecht, on 26, 27 and 28 March. “We expect over 10.000 visitors this year, and over 150 exhibitors. We are witnessing an enormous growth every year”, said Rob Vos from organiser ProMedia Europoint. According to Vos, the entire rail sector will meet in Utrecht on these three days. There is a dedicated Start-up Festival and students may find their next job at the fair on the Rail Career Day. On top of that, success stories will be honoured with an Innovation Award. Part of RailTech Europe are the RailTech Conferences 2019, a three day high level conference programme from 26-28 March. Over 30 speakers will provide the latest developments and insights of the European Rail Traffic Management System (ERTMS) (day one), Energy Saving in Rail (day two) and Predictive Maintenance in Rail (day three). Member states are struggling with the planning of the roll-out of the European Rail Traffic Management System and defining a business case. At the first day of the conference several experts will give their view on solutions how to accelerate the roll-out of this system. 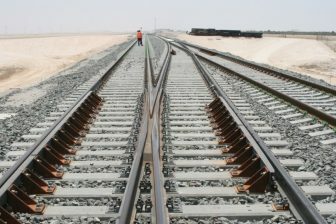 To realize a shift to rail, sustainability will be one of the key topics for the railway industry. 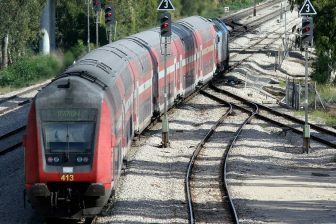 To make rail even more sustainable, there are several solutions to reduce the energy consumption of trains. At this conference days several international speakers will elaborate about the possibilities. The railway industry is shifting more and more from corrective maintenance to predictive maintenance. Therefore monitoring, analyzing tools and new asset management strategies are introduced. On the third conference days you will learn more about the latest technologies of predictive maintenance. The fair has always dedicated special attention to the rail freight sector, but this year the industry will be served with a special event in the form of the Freight and Terminal Forum. This will include a one-day conference about terminal efficiency on 28 March, with topics such as the estimated time of arrival, the geographic location of inland terminals, and terminal design and automation. In addition, there will be around 24 workshops spread out over the three days. Visitors can sign up to gain knowledge about topics such as the Swiss modal shift policy, high-speed rail for freight, sanctions on Iran, or blockchain applications, to name a few. Innovation in the rail sector has always been an important pillar for RailTech Europe. This year the RailTech Europe 2019 Innovation Awards are presented in seven categories, instead of the traditional three. 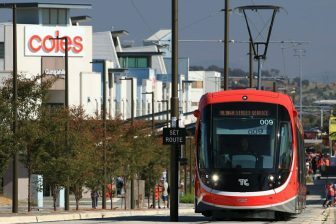 These include the categories of infrastructure, rolling Stock, IT and Public Transport. In addition, a RailFreight Innovation Award will be presented, as well as a Start-up Award and an Industry choice award, which is the best innovative product or service chosen by the industry. After a successful edition last year, the RailTech Startup Festival will see its second edition this year. 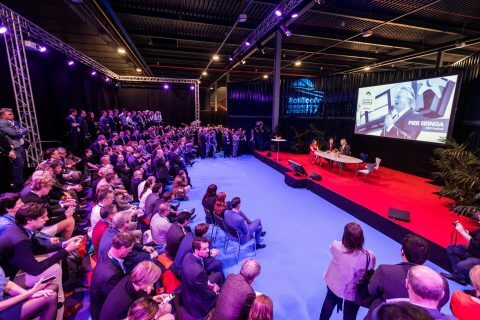 The Startup Festival offers a marketplace of innovation in the rail industry. This matchmaking platform brings together startups, industry stakeholders and investors at the most central location between RailTech Europe 2019 and Freight & Terminal Forum. More information can be found here. As many as 1,000 students visit this trade fair with only one goal: finding a job, traineeship or internship in the rail sector. The Rail Career Days meets the need for the increasing demand on the labor market within the rail sector. That is why a large-scale campaign has been set up to entice students from technical educational institutions to work in the railway sector. Together with the RailCenter, RailForum and the Jonge Veranderaars a programme has been put together to match students with their future employer. Companies can present themselves in the Future Tours provided by the Jonge Veranderaars, or they can pitch what they have to offer in the so-called pitch shows. There will also be speed-dating sessions at the Meeting Square. Majorie van Leijen is is editor of RailTech.com and RailFreight.com, online magazine for rail freight professionals.